I bought one of the new iPod Nanos last week. One of the main reasons that I wanted one was to be able to listen to and watch the video lectures available at iTunes U while walking or traveling. There’s quite a bit of interesting material available for free download. For example, I’ve been watching lectures from the weekly colloquium of the Stanford Computer Systems Laboratory. There are also MIT courses about graduate-level Digital Communications taught by Edison and Shannon medalist David Forney, or introductory Biology by Eric Lander and Robert Weinberg, or Mathematical Methods for Engineers (look under Mathematics) by Gilbert Strang, all in video. The podcast section of iTunes Store also has many videos of entertaining 20-minute talks from the TED conferences held over the last few years. Of course there’s all sorts of other material available; I’m just pointing out some more academic videos. It’s somewhat annoying how difficult it is to find specifically video material; there’s much more material available only as audio, but the video material is not really specifically singled out in any way. Also, you should know that you can also watch all the material directly on your computer, but if you want to do that, you should also visit this MIT OpenCourseWare page or this Berkeley webcast page. Both of these pages have a lot of additional video courses available in formats other than the MP4 format used by the iPod. 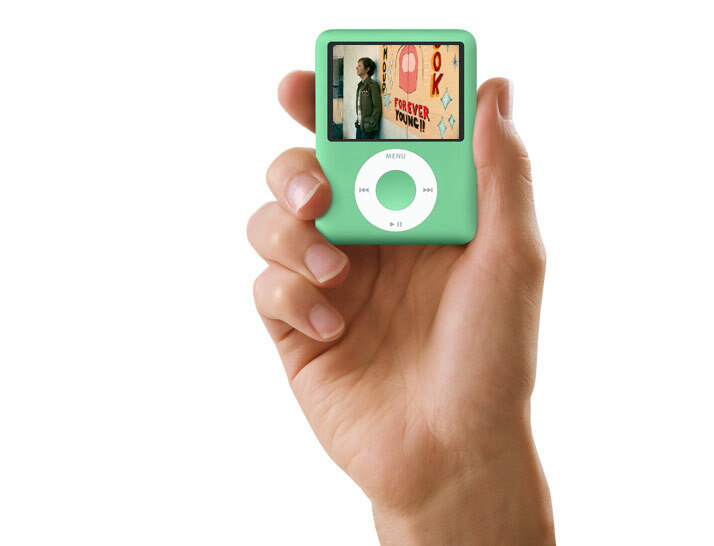 The iPod nano is very small and light. It’s my first iPod, so I was pleasantly surprised to learn that the earbuds are actually pretty comfortable. The screen is really sharp, but it’s also really tiny, so while it’s OK to look at occasionally to see what’s going on, but I wouldn’t want to watch a long movie on it. The iPod Touch will definitely be a better option for that. If you like what you see here, please tell your friends. And if you have a blog or web-site, please link to Nerd Wisdom. Thanks!